The last time George Washington had a home loss that eclipsed 29 points, President George W. Bush was still in his first term in the White House. The Iraq War had not even yet begun, and I was two years old. Yeah, it’s been that long. Since 2002, GW has only had five loses total worse than the margin of defeat they suffered at the hands of Davidson last Saturday afternoon. So the question remains, for a team coming off an embarrassing loss, and a team sitting five games below .500, where does GW go from here? First of all, to even be eligible to qualify for any postseason tournament, the Colonials will have to win seven of their last nine games, which for the record, is two less wins then they currently have for the entire season. 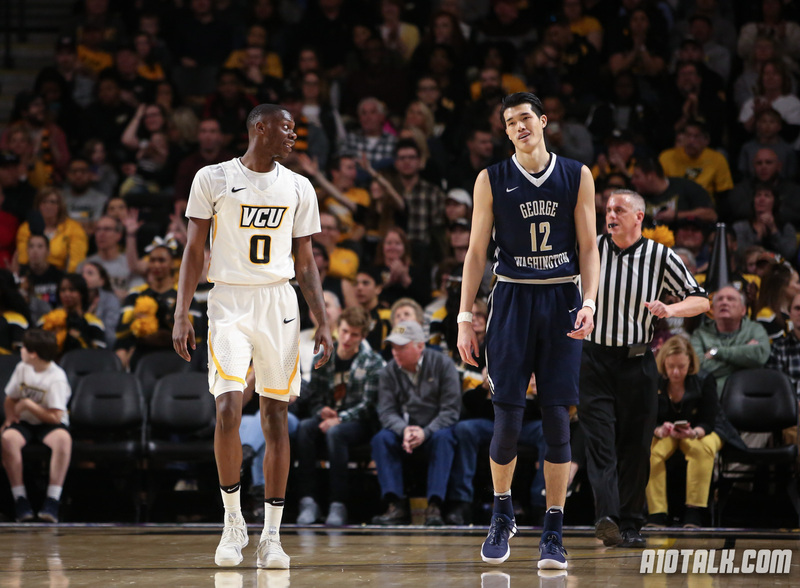 In addition, GW is facing an appearance in the opening round of the A-10 Tournament on Wednesday, something they have not had to do since the tournament changed to its current format. To simply avoid finishing in last place in the standings, George Washington will have to beat Fordham, who they are currently tied with for 13th place at 2-7. The two will go head to head on February 28th at the Smith Center, so at least the Colonials will have home-court for said matchup. But let’s think bigger picture right now: where does GW go from here? As it stands, the Colonials are on track for their worst season since 2011-2012, aka Karl Hobbs’ final season at the helm in Foggy Bottom. So will Maurice Joseph, who just signed a contract extension this past summer, receive the same fate? It’s too soon to tell. Since the resignation of Athletic Director Patrick Nero in December, Tanya Vogal has been serving as interim-AD, but she is not likely to permanently keep the job. Plus, the university just elected a new president as well, Thomas LeBlanc. It’s within the realm of possibility that LeBlanc and whoever the new AD will be will want to bring in their own coach, but would that really be fair to Mojo? Look at the talent that is on the current roster. This is hardly a team that is “under-performing” by any stretch of the imagination. Now, did I think preseason that by February, we’d be realistically be talking about GW finishing 14th? No, but granted the current team lacks the pieces that we’ve seen in recent years. The is no true center on this team, as of late, 6-8 Patrick Steeves has been starting in that position. Arnaldo Toro started the year as center, but in recent games, has seen his playing time diminish drastically. Bo Zeigler has also filled in at center, but is more of a true power-forward than a center. Simply put, this team is just not built to be a contender in the Atlantic 10 this season. Heck, they currently start two freshman and a sophomore. All that said, I don’t think there would be as much concern among GW faithful if the drop off wasn’t as severe as it has been. George Washington has had four consecutive 20-win seasons, and during that span, has accumulated the most number of wins during any four-year span in program history. Even last year’s team, which finished the year with a disappointing second-round exit in the CBI, managed to finish the year 20-15. It’s worth noting that last year’s 20-win season came with Maurice Joseph as head coach. So where does GW go from here? Well for starters, you gotta finish out the rest of the season as strong as you can. And if you need any extra incentive to get up for the A-10 Tournament, this year, the tournament is going to held in the Colonials’ backyard at Capital One Arena in Washington DC. This team may not be heading to a postseason tournament, so why not just go out a win a few games down the stretch of the season and in DC? And as far a Mojo goes? The man is the second-youngest coach in D-I basketball. This is his first real season as head coach (last season he was the interim head coach). Give him some time to find his footing before assessing too much judgement. We’ve seen how he can coach a team with some real talent on it and now we’re seeing how he coaches a very inexperienced team lacking key pieces. College basketball is very cyclical, and right now, GW is just in the downswing. But I do believe that they will be on the upswing again before long. Follow us on Twitter, like us on Facebook, and check out our forum for more George Washington content. Richmond, Duquesne, & Saint Louis — who ya takin’?